Two girls found Monday night after an Amber Alert was issued spent 24 hours enduring sub-freezing temperatures inside 50-gallon plastic water barrels, a sheriff’s office news release said. They were not dressed for the cold weather and when found did not have food or water, according to the Iron County Sheriff’s Office. The girls had been told to stay in the two barrels to hide from law enforcement, by Samuel Shaffer — self-proclaimed prophet of a fundamentalist Mormon offshoot called Knights of the Crystal Blade — who is the father of one girl. The other girl’s father is John Alvin Coltharp, 33, a follower of Shaffer. 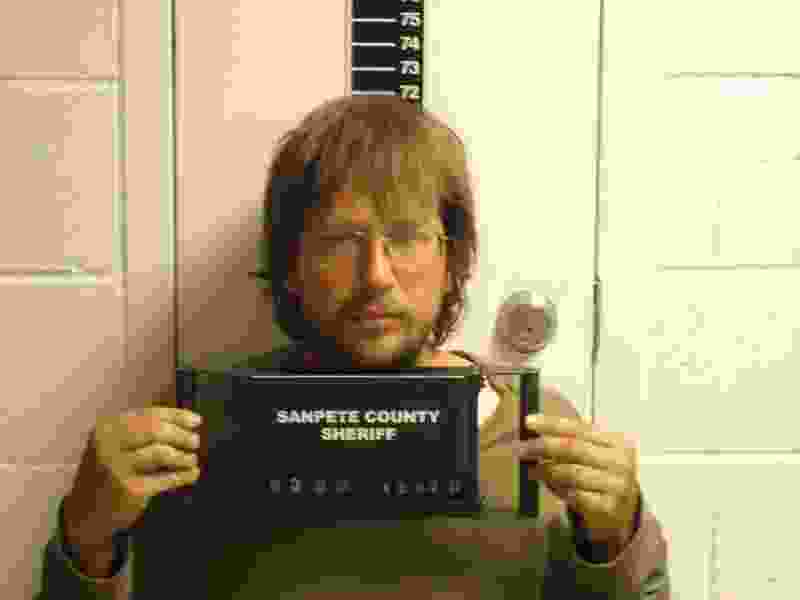 Coltharp was booked into the Sanpete County jail Friday on a hold for custodial interference while an investigation into kidnapping took place. Coltharp’s other daughter was found shortly after with Shaffer’s other daughter. The two were in an abandoned single-wide trailer. On Tuesday, Coltharp was charged in 6th District Court with first-degree felony kidnapping and obstruction of justice, a class A misdemeanor. He had been in the Sanpete County jail since Friday, when he was located outside of Spring City. He had an initial court hearing Wednesday. On Monday, Iron County Sheriff’s Office deputies raided a compound in Iron County and recovered Coltharp’s two young boys. However, Shaffer and Coltharp’s two young daughters were missing. Iron County Sheriff’s Office obtained three search warrants Tuesday and as of 3 p.m. were conducting a search of the compound made up of shipping containers to better understand what sort of activities were being conducted there, said Lt. Del Schlosser. An Amber Alert went out for Coltharp’s daughters — ages 4 and 8 — and on Monday evening Shaffer was found in Lund walking around by himself. Shaffer gave the location of two of the girls, one being his daughter and the other one of Coltharp’s daughters. Those two girls were found in the barrels. Shaffer told deputies he had left a firearm on the ground near the barrels, according to the sheriff’s office. Shaffer refused to give the location of the other two girls. Two helicopters and an ambulance were dispatched to search for the girls, as well as 20 law enforcement officials. After an hour, Shaffer told police where the other two girls were, according to the sheriff’s office. The second set of girls were found in the trailer in poor health and with signs of dehydration and lethargy. The girls were taken to an area hospital for medical evaluations. Schlosser said one of Shaffer’s daughters has since been flown to Primary Children’s Hospital for further medical attention. The other three girls have been released from the hospital. 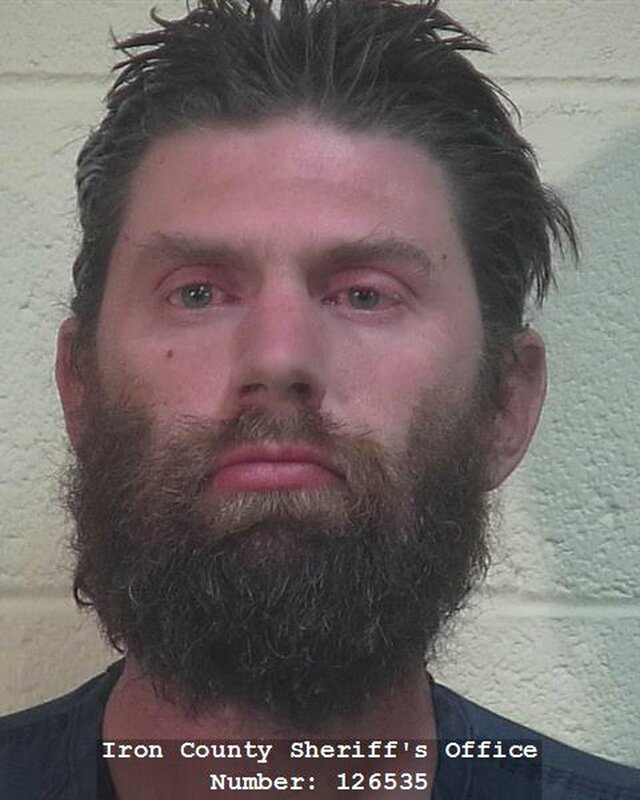 Shaffer, 34, was booked into the Iron County jail Tuesday morning and charged with two first-degree felony counts of kidnapping and four second-degree felony counts of child abuse Wednesday. Shaffer told deputies he recently passed down his prophecy status to Coltharp. According to a probable cause statement, Coltharp first left Spring City with his daughters on Sept. 14. With the help of his parents, Coltharp packed his home into a U- Haul and left town in the middle of the night. When Christensen arrived at the home on Sept. 16 for a welfare check, he found it largely abandoned. Bed frames remained, but mattresses were missing. Picture frames were empty and a food storage room and gun safe were found ransacked. Witnesses told Christensen that Coltharp had left in the middle of the night, the probable cause statement says. Family members told police that Coltharp and his parents left to join a new religious group in Iron County, according to court documents. Coltharp’s sister told Christensen that her brother was heavily armed and had said multiple times that if police tried to take his children he would kill them all. Coltharp’s then-wife, Micha Coltharp, began divorce proceedings, which were finalized Nov. 27, at which point she was granted custody of their four children, who had been with John Coltharp since mid-August, according to the probable cause statement. A judge issued an order for law enforcement to pick up the children and return them to Micha Coltharp. On Dec. 1, Christensen received a report of activity at John Coltharp’s Spring City home. He found John Coltharp outside. When asked where his children were, John Coltharp gave several answers and was elusive, the statement says. He told Christensen that his partner “Sam” was inside but when Christensen knocked on the door no one answered. John Coltharp was taken into custody and continued to stonewall investigators when they asked about his children. Shortly after midnight on Dec. 2, Shaffer reportedly left the Spring City home. When stopped by police, he did not have of the children. According to the sheriff’s office, Shaffer spent the following night in a tent with the four girls. On Sunday about 4 p.m. Shaffer left the compound on foot, the sheriff’s office said. An hour later the Amber Alert was issued. Coltharp’s sister, Cindi Ray, on Monday said her brother has fundamentalist Mormon beliefs, including support for polygamy, though he has never practiced plural marriage.